This week we celebrate International Hot and Spicy Food Day. How will you to celebrate Hot and Spicy Food Day? Many will prefer their meal to have a gentle tingle on the tongue rather than a full assault of the taste buds. However, there will be some who will celebrate Hot & Spicy Food Day by eating the hottest chilli they can find. The Scoville scale measures the heat of chilli peppers and other hot and spicy foods. 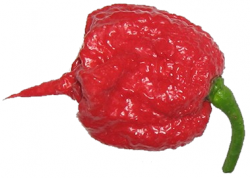 The Caroline Reaper tops the chart as the most fearsome and hottest pepper in the world . 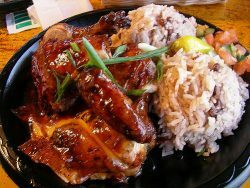 who want a spicy, flavorsome meal without the chilli hit. 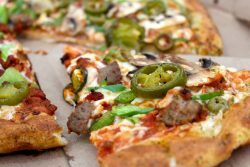 Whether you are visiting a favorite restaurant, cooking at home or ordering in a home delivery, the options for a hot and spicy meal are as diverse as they are tasty. 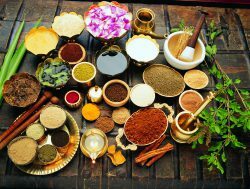 Indian, Mexican, Asian and Caribbean dishes are the most famous, with their blends of aromatic spices and heat. You can choose the heat that you are comfortable with from the very mild to the fiery hot. Experimenting with different International cuisines can be a very enjoyable experience. 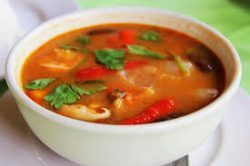 It is the combination of the spices that are added in cooking that give the unique blend of tastes to the dishes and the chilli peppers provide the strength of heat. 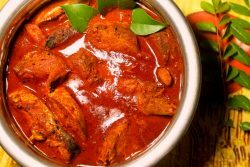 Kerala Fish Curry a mild and fragrant Kerala specialty. 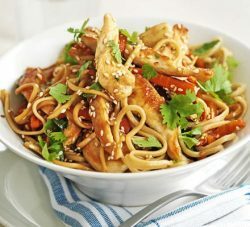 Spicy stir fry an Asian staple to delight the taste buds. If you prefer old favorites you can always add an extra bit of spice. Chopped chilli peppers can add that extra tang to everyday meals or transform a mundane dish to a taste sensation.